We’re having a ‘Reading Day’ at school for which we have to read three books: ‘We Have Always Lived in the Castle’ Shirley Jackson, ‘On Chesil Beach’ Ian McEwan and ‘Making Cocoa for Kingsley Amis’ Wendy Cope. We’ll get to discuss them in detail on the day(17th July), so maybe I’ll post some more thoughts about them then, but I thought I’d put some initial ideas down now. I haven’t got round to reading the Cope poetry yet, so this will just be about the McEwan and Jackson, starting with the McEwan, since I read that first. To be frank with you, I was so ready for something speedy and easy to read, as ‘1599’ James Shapiro and ‘Defying Hitler’ Sebastian Haffner are both interesting books, but ones which require your full attention, whereas with the McEwan I could finish it in a couple of hours. It’s about Florence and Edward and their wedding night and how things not said and not done can have an eff ect just as things actually done. Although I enjoyed the book, it won’t be on any of my ‘must-read’ lists because, despite the novella (it really is pretty short) being beautifully written, the plot is not overly enthralling. In fact, the story itself didn’t keep my hanging on edge, desperate to find out what happens and, as my friend Georgia put it, you get the feeling it might have been just as good, if not better, as a short story without all the backstory surrounding Edward and Florence. In contrast to this, the Jackson was certainly a cliffhanger. In fact, I was half way through when going to bed on Sunday and got so wrapped up that I finished the book in one sitting, even though I was pretty tired for school the next day. I have to say, I was dubious at first. considering how the book started: “My name is Mary Katherine Blackwood. I am eighteen years old, and I live withmy sister Constance. I have often thought that with any luck at all I could have been born a werewolf, because the two middle fingers on both my hands are the same length, but I have had to be content with what I had. I dislike washing myself, and dogs, and noise. I like my sister Constance, and Richard Plantagenent, and Amanita phalloides, the death-cup mushroom. Everyone else in my family is dead.” Saying that, although I was doubtful, who wouldn’t want to carry on reading after that? And that is exactly how the book continues. Part of your brain murmurs: “But this is crazy, who would write this?” while the rest shouts “THIS IS SO DISTURBING WHAT IS GOING TO HAPPEN NEXT?” I found the afterword by Joyce Carol Oates especially interesting, as it drew on the parallels between Jackson’s book and ‘The Turn of the Screw’ Henry James which I’ve just finished doing as part of my English AS Level. In both novellas the narrators are unreliable and their thoughts reveal much more about them than their actions. 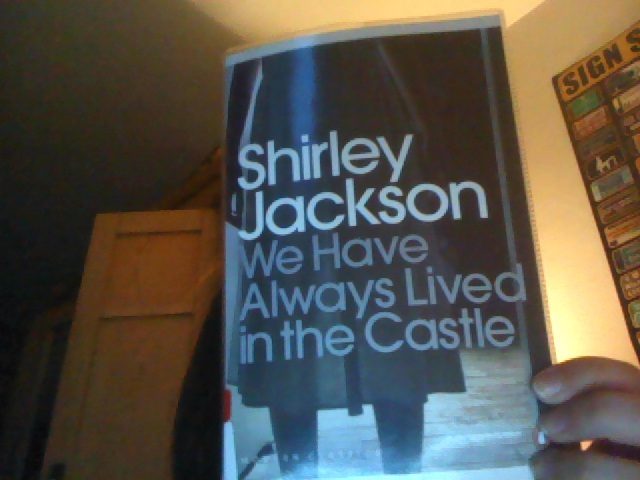 In both one becomes caught up with their way of seeing the world, and yet I felt more drawn to Merricat in ‘We Have Always Lived in the Castle’ than the governess in ‘The Turn of the Screw’ as she felt stronger, and less pathetic, although a lot more creepy. My conclusion is that Jackson’s book is definitely worth a read, and I might try and find some more to read by her, whereas, though I don’t regret reading McEwan’s book, the feeling of anticipation and suspense wasn’t there. 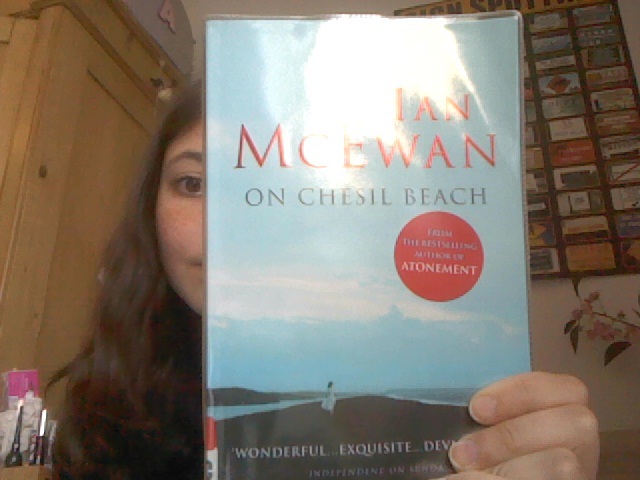 Of course, Jackson’s is gothic and of a very different genre to McEwan’s, but I still feel like the plot wasn’t as exciting in ‘On Chesil Beach’. However, one similarity I did notice between the two books is that they both deal with past events and their impact upon people’s lives. Although in my title today Shakespeare gives wise advice that we should not dwell on the past as we can’t change it, these books demonstrate that sometimes looking back is unavoidable, as the bygone actions cast long shadows. Thanks again to everyone who reads this! Speak soon.